Joliet Chapter 13 Attorney | Johnson & Johnson, Ltd. Experienced Joliet chapter 13 attorney. Those who are facing financial difficulties may consider finding a solution by filing for bankruptcy. Chapter 13 bankruptcy is one of the options available for individuals who are ready to resolve their money problems. Chapter 13 bankruptcy is a good choice for those who meet specific financial criteria. A Joliet chapter 13 attorney will assist you with answering the questions involved in making this important decision. The first step is to talk to an experienced Joliet chapter 13 attorney at Johnson & Johnson, Ltd. to discuss your financial situation. Chapter 13 bankruptcy is one of the two bankruptcy filing choices available to individuals. With chapter 13 bankruptcy you may be able to keep your home, your vehicle, and other important possessions and assets. 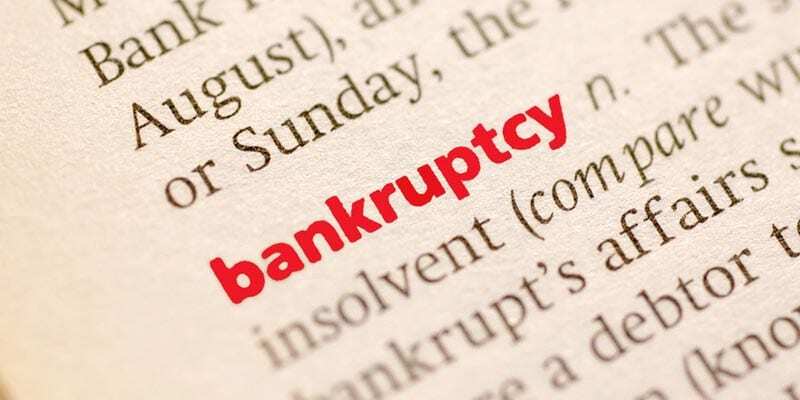 Your Joliet chapter 13 attorney will explain to you that chapter 13 bankruptcy lets you consolidate your debt so that it can be repaid in monthly payments. The payments are determined based on your income, debt, and ability to pay, among other things. If you qualify for this type of bankruptcy, it may be the preferred method of filing. Do not worry if you do not meet the criteria for chapter 13 bankruptcy as you may then be able to file chapter 7 bankruptcy instead. Speak with a Joliet chapter 13 attorney as soon as possible to find out what options are available to you. Many people wonder what type of bankruptcy filing is the best for them. While both kinds of bankruptcy will accomplish much of the same things, there are some differences as well. Your Joliet chapter 13 attorney will inform you that the biggest difference is in how your assets and possessions are handled. With a chapter 7 bankruptcy you will need to liquidate your assets in order to repay as much debt as possible. With chapter 13 bankruptcy you will be able to keep your possessions and maybe even your home if you move quickly. Chapter 7 bankruptcy is designed for those who are unemployed or are unable to commit to making monthly payments. A Joliet chapter 13 attorney will assist you in choosing the method that is right for you and your financial situation. Bankruptcy lets you put an immediate stop to your financial woes so you can end the money crisis in your life. You will be able to learn new ways to deal with money so you can keep from getting into this position in the future. Your Joliet chapter 13 attorney will evaluate your finances and provide you with the reasons why bankruptcy may be a good alternative. When filing for Chapter 13 bankruptcy you must provide a detailed financial plan. This plan can be more easily created with help from a skilled Joliet chapter 13 attorney. Your Joliet chapter 13 attorney understands exactly what is necessary in the plan and will guide you through the process to ensure that the plan is one that works best for your particular situation. You will need to fully disclose all of your finances in order to meet the legal obligation of chapter 13 bankruptcy. The basis of a chapter 13 bankruptcy is that you are able to meet you future repayment obligations. Chapter 13 bankruptcy allows you to consolidate your debts so that you can pay them back. Your Joliet chapter 13 attorney will evaluate of your income in order to make sure that you will have payments within your available budget. By creating a repayment plan through consolidation, you will likely be able to keep some, or all, of your possessions. This type of plan requires that you have the income to support regular ongoing payments. All of your debts including any outstanding loans, car payments, and credit card debt, will be combined so you will only have one payment to worry about each month. Sometimes, filing for a chapter 13 bankruptcy may allow you to keep your home. If you are struggling with a possible foreclosure, it is a good idea to talk to a qualified Joliet chapter 13 attorney as soon as possible. Do not wait to discuss the matter because the sooner you begin the bankruptcy process the better your chances of being able to save your house. If you take action fast you may be able to circumvent foreclosure. If you are feeling overwhelmed by debt with no possible end in sight, it may be time to consider bankruptcy. A Joliet chapter 13 attorney will work with you to go over your finances and give you the options that you can choose from. You will be able to have all of your questions answered so you feel secure in making an intelligent decision. The compassionate legal team at Johnson & Johnson, Ltd. is skilled at working with clients who are having financial difficulty and going through the bankruptcy process. Take some time to learn more about the process. Contact Johnson & Johnson, Ltd. today to set up a meeting with a Joliet chapter 13 attorney.